What is the Genius Link API? View click trend reports for product, destination, referrer, device, etc., by hour, day, month, or lifetime. If you do not already have your API keys, navigate to the Tools page within your dashboard, then scroll down until you see the Integrate with our API header. Click the Add an API key button. 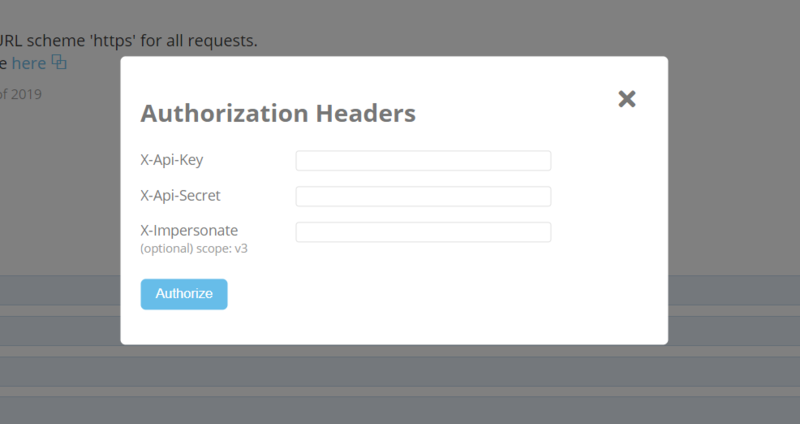 Next, go to https://api.geni.us/ and click the Authorization button. Paste the API "Key" and "Secret" into the designated boxes. [Optional] Fill the X-Impersonate box with your sub-account username to make requests on behalf of your sub-account. Learn more below. Choose a version (latest version: v3), then click Show/Hide. You can also make requests as your sub-account by providing your sub-account username as the X-Impersonate header value. Learn more below. We would love to see what you can create, and how you will utilize the technology!